Sacramento Cops Who Fatally Shot Stephon Clark Will Not Be Charged, Says AG Attorney General Xavier Becerra announced the findings of the state's independent criminal investigation into the police shooting death of Clark nearly a year ago. 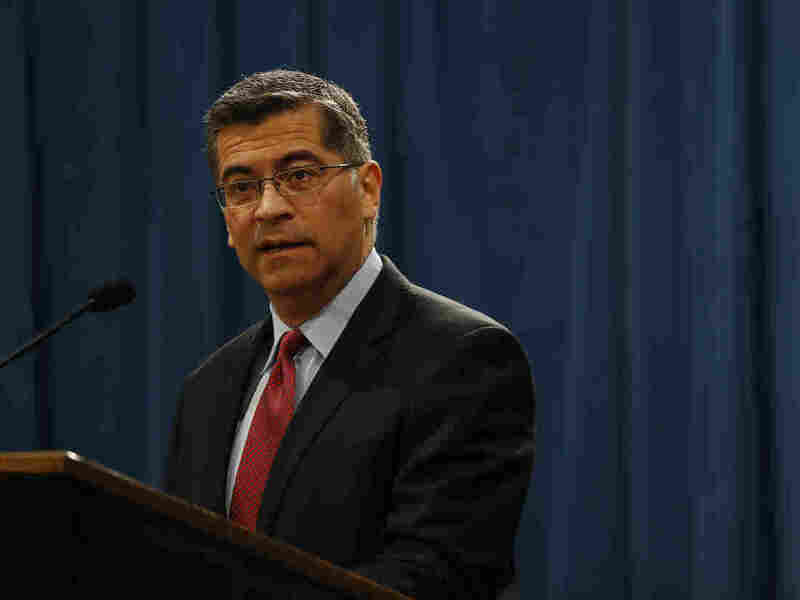 California Attorney General Xavier Becerra announced Tuesday that the two Sacramento police officers who killed Stephon Clark last year will not face criminal charges. Becerra is seen here during a press conference last year. Clark was 22 years old. The circumstances around his death made national headlines and added another layer to an ongoing conversation about the police use of deadly force, particularly against unarmed black men. The officers shot Clark seven times, including three times in the back, the official autopsy found. Becerra announced the findings of the state's independent criminal investigation into the police shooting death of Clark days after Sacramento County District Attorney Anne Marie Schubert announced she would not be filing criminal charges against the two police officers who killed Clark. Schubert's decision, which was announced nearly a year after Clark's death, sparked a new round of protests and demonstrations in Sacramento — including a march in an affluent, mostly white neighborhood that resulted in police arresting at least 84 people Monday night. With findings from the county and state inquiries now released, the Sacramento police department plans to use them as part of its internal review of the shooting. "Sacramento Police Chief Daniel Hahn said his office and internal affairs will make a decision about the officers' actions and employment" after Becerra's agency shares its results, as member station Capital Public Radio reported. Asked if he backs changing California's law governing when police can use deadly force, @AGBecerra says "we’re right now, as we speak, working towards changes" but doesn't get more specific. Critics, including Clark's family, said it was inappropriate for Schubert to publicize the young man's text messages, Internet searches and drafts of emails that were pulled from his cellphone. She presented those records as signs that Clark was troubled. "She used that as a smear campaign or a fake way to justify and condone," Clark's mother, SeQuette Clark, told NPR this weekend. "Her officers weren't doing — she never once addressed their actions. She presented and painted a picture of my son that was her opinion."